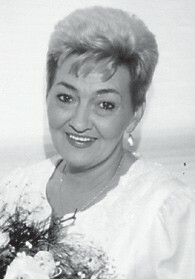 Janie Tolliver Whitaker, 79, died January 12 in Frankfort. She was the widow of Joe Whitaker. Surviving are two sons, Lance Whitaker and Eric Whitaker; a sister, Sue Tolliver Parks of Ermine; and two brothers, Don Tolliver and Jack Tolliver. A memorial service will be held at 2 p.m., February 9 at Letcher Funeral Home. Burial will be in the family cemetery in Knott County. Friends and family are invited to attend.